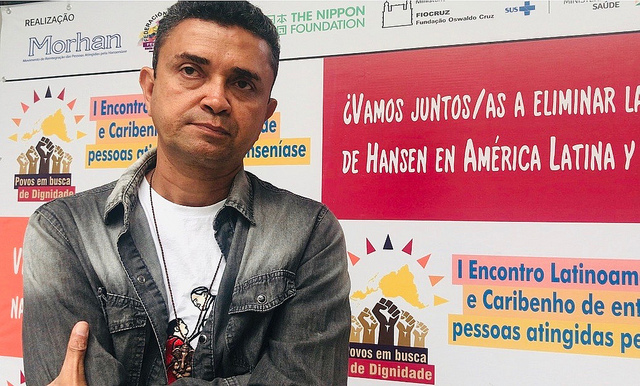 RÍO DE JANEIRO, Mar 13 2019 (IPS) - Known scientifically as Hansen’s disease, leprosy carries a symbolic burden from the past that people affected by the disease and experts from around Latin America are fighting, including the terminology used. 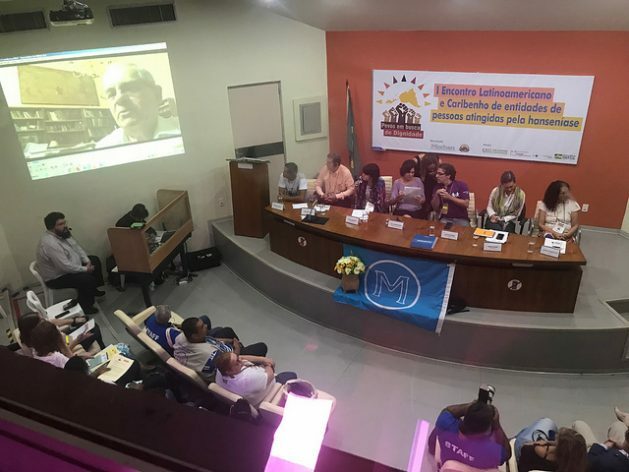 The debate took place during a panel called Hanseniasis versus Leprosy, at the First Latin American and Caribbean Assembly of Organisations of People Affected by Hansen’s Disease, taking place in Rio de Janeiro, Brazil Mar. 12-14. “People still use the term leprosy as an instrument of prejudice and discrimination, but that causes those affected to be afraid and to refrain from seeking medical attention and early treatment,” Francisco Faustino, a Brazilian who received treatment and was cured, told IPS. The activist is a member of the Movement for the Reintegration of Persons Affected by Hanseniasis (MORHAN), which organised the conference together with the Colombian National Federation of Organisations of People Affected by Leprosy. The meeting brings together international institutions and representatives from seven Latin American countries along with others from the industrialised North and is being held with the special support of the Brazilian Health Ministry and the independent Nippon Foundation, which is accompanying the process of regional meetings ahead of the World Congress on leprosy, to take place in the Philippines in September. Brazil is the only country that has replaced the word leprosy in its health campaigns. Hansen’s disease or hanseniasis is often used as official terminology in most countries along with leprosy, while the World Health Organisation (WHO) uses Hansen’s disease as a second name but still mainly uses the term leprosy. Regardless of what name is used, this country is the only one in the Americas that, according to official data, has failed to eliminate the disease, and is the one that accounts for 95 percent of the roughly 30,000 new diagnoses annually in Latin America. Organisations such as the Brazilian Society of Hansenology say the number of unregistered cases could be four or five times that. WHO considers the disease eliminated when there is less than one case detected per 10,000 inhabitants. Faustino attributes this largely to the “prejudice still surrounding the term.” “We hope that the health community will change its stance and begin to treat it as a disease that has a diagnosis, treatment and a cure,” he said. He continues to suffer stigma and discrimination even now that he is cured. “People still think it’s a disease that is spread merely by contact, by being near you,” he said. PAHO and WHO explain that leprosy is caused by a bacillus, Mycobacterium leprae, also known as Hansen’s bacillus. It is infectious and chronic, multiplies very slowly and the incubation period is on average about five years, although some people do not show symptoms until 20 years later. The disease mainly affects the skin, the peripheral nerves, the mucosa of the upper respiratory tract, and the eyes. If left untreated, it can lead to nerve damage, loss of feeling and paralysis of muscles in the hands, feet and face. Artur Custodio, coordinator of Morhan, recalled that in ancient times leprosy was the name given to a group of diseases such as syphilis, elephantitis, vitiligo, and today’s hanseniasis. “Biblical leprosy refers to scaly skin, dirtiness and sin, and hanseniasis is nothing like that. We have to give a new meaning to this disease in order to combat the stigma. The word is strong,” he told IPS. “We’re not going to change Hollywood movie concepts about lepers, nor the biblical stories. What we need to change are attitudes. It’s as if we have to create a new concept, work on a new product. No bank would be called a ‘bankrupt corporation’ because everyone would be afraid to put money in that bank,” he said, by way of comparison. Custodio said the debate on the name and the burden of its meaning is also occurring in countries such as Colombia, Japan and the United States. “This is an important movement. Words do carry stigma. The word used for a name is a strategy,” he maintained. Luciano Curi of the governmental Federal Institute of the Mineiro Triangle in Brazil did research for his doctoral degree on the history of ancient, medieval and modern leprosy that convinced him that the term did not refer to today’s hanseniasis. “Treating it as a synonym, in addition to lacking a historical and scientific basis, is very dangerous. The leper of the ancient and medieval world was seen from a religious foundation, and was associated with the impure. And hanseniasis is seen from a medical point of view. The first medical works date back to the 19th century, when the disease began to be understood scientifically,” he told IPS. The figure of the leper, he said, existed in several ancient populations of the region of Mesopotamia or Egypt, and also among the Hebrews, and they were seen as having “some kind of spiritual pollution,” while priests were instructed to expel them. In Brazil and other Latin American countries, this definition led them from exclusion to isolation, in leper colonies isolated from everyone, including their families, until the mid-twentieth century. According to Curi the “change of terminology is urgently necessary.” He noted that Brazil was a pioneer in changing other terminologies. “We don’t say ‘madness’ any more, we say ‘mental illness’, we no longer use the word ‘plague’. That effort, at a worldwide level, is important. The name is not a minor issue,” he argued. Jorge Domínguez, a representative of Peru’s Health Ministry, also told IPS that the name “leprosy” does not help bring patients in for consultations in health clinics. During his 10 years working as regional coordinator of Hansen’s disease in the province of Alto Amazonas, bordering Ecuador, he witnessed numerous cases of people “hiding” from the health authorities for fear of being sent to the “leprosarium”, as some Latin American countries called these now-abolished institutions, some of which were virtually citadels. “It was just like during the times of Christ, when lepers were banished and isolated. The same thing happened in the jungle. When I started to work, I went to visit once and there was a person who had leprosy and was shunned by his own family. They had made him a room and passed his food to him under the door,” said Domínguez, a nurse by profession. “People’s lack of knowledge about the disease was very great,” he said. That campaign reduced the number of reported cases of leprosy in his region from 35 or 45 a year, to between eight and 10 today. “No matter how much awareness-raising we have done through the media, many people still get scared. Changing the terminology would help people avoid discrimination,” he said. But above and beyond the question of terminology, Dominguez believes that research on a disease about which very little is known should be strengthened. “Why does it affect some people more than others? Why are there so many cases in Brazil and we have so few of them, and people living along the border don’t get it?” he wondered. “It is also important to strengthen communication, and information for the public. The treatment for Hanseniasis, which lasts six months to a year, is free, the disease is curable, and even people who already have suffered damage can mitigate it,” Custodio concluded.